The Los Angeles Kings won the Stanley Cup and brought back every significant player from the first title-winning team in franchise history, so there aren't going to be a lot of questions for the club to answer as the 2012-13 season approaches. Los Angeles will be considered one of the favorites in the Western Conference this season, but the Kings were not one of the best in 2011-12 until late in the season. Some production levels from players may not be sustainable, and injuries are bound to occur. The Kings can look no further than the Boston Bruins, who won the Cup in 2011 and for the first half of last season looked primed to repeat before a couple of injuries and the wear and tear of trying to repeat ultimately felled them in a first-round upset by the Washington Capitals. 1. Will Jonathan Quick be ready for the season? Quick had two strong seasons for the Kings prior to 2011-12, but even then he wasn't clear of the possibility of uber-prospect Jonathan Bernier usurping him. Not only did Quick put that idea to rest last season, his rise to superstardom was one of the biggest reasons for the Kings' title run. After a Vezina Trophy-finalist and Conn Smythe Trophy-winning season, Quick cemented his place in Los Angeles with a 10-year, $58 million contract extension. He also had what the Kings deemed "minor surgery" on his back earlier this month to repair a disc fragment and an inflammatory cyst. The Kings said his timetable for recovery was a minimum of six weeks. If Quick isn't ready when the season starts, it would be an opportunity for Bernier to showcase his abilities. Los Angeles will be in no rush with Quick, in part because of Bernier and also because the Kings need their No. 1 goaltender to be at his best if the team is going to defend its title. 2. Can the Kings avoid the dreaded "Stanley Cup hangover?" The NHL has a long history of dynasties and teams defending their championships, but that hasn't been the case recently. No club has repeated since the Detroit Red Wings captured the Cup in 1997 and 1998. The Red Wings were one game from completing the feat in 2009, but the Pittsburgh Penguins denied them. Few, if any, champions in recent NHL history can boast the kind of continuity the Kings were able to keep this offseason. Everyone is back, and aside from Quick, currently healthy. Last season proved to be unlike any other in Kings' history, but this forthcoming campaign will be as well. Los Angeles is now the target for 29 other teams, and expectations have never been higher. That said, the Kings are loaded and, on paper, look primed for a serious run at a repeat. One of their biggest opponents may be themselves -- can they recapture the incredible form that helped them steamroll through the Stanley Cup Playoffs, or at least a close facsimile? 3. Will the power play be better? For the second straight season, a team claimed the Stanley Cup despite a porous power play in the postseason. While the Kings players and coach Darryl Sutter defended it on a daily basis, Los Angeles' work with the extra man (with a few exceptions) was deficient. Los Angeles' power play was middle of the pack during the regular season (tied for 16th at 17.0 percent), but the Kings converted only 12.8 percent of their chances in the postseason -- and that number was inflated by a couple 5-on-3 tallies against the Phoenix Coyotes and the three-goal outburst after Steve Bernier's major penalty in Game 6 of the Final against the New Jersey Devils. Having sniper Jeff Carter around for a full season, as well as more man-advantage time for defenseman Slava Voynov, could help the Kings boost their power play back to more respectable figures. 4. Will the Kings score more? This is connected to the power-play question, and comes with a bit of a disclaimer. Los Angeles did score plenty of goals near the end of last season and once the postseason began. That said, the Kings finished the regular season 29th in goals per game at 2.29 per contest. There were plenty of reasons for the increase -- adding Carter helped balance the lines and deflect some defensive attention from Anze Kopitar and Dustin Brown, adding Jordan Nolan and Dwight King provided depth scoring, Dustin Penner started producing like the player he had been before he came to Southern California, etc. The question now is, will Penner and King continue to produce at their Spring 2012 levels? Even Brown and Kopitar's regular-season production was depressed from recent seasons before they starred in the playoffs. If the Kings play like they did in their last 40 games or so (including the postseason), offense will not be a problem. Having a healthy Simon Gagne and a full season of those additions mentioned above could even make the Kings an above-average offensive club. 5. Will any of the kids get their shot? By returning everyone who donned a sweater during the 2012 playoffs, general manager Dean Lombardi has ensured the Kings will be among the favorites in 2013 but also blocked several young players from a clear path to NHL opportunity. Jonathan Bernier has been waiting for three years, but at least he's doing so at the big-league level and earning some NHL experience in the process. Others may not be so lucky this season. 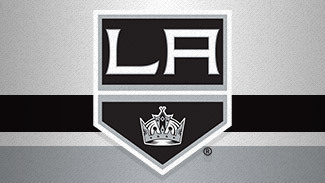 Andrei Loktionov, Kyle Clifford and Jake Muzzin have NHL experience, but could all end up waiting their turn with Manchester in the American Hockey League, not to mention players who'd almost certainly see an NHL debut in other organizations, Tyler Toffoli and Martin Jones. Should the Kings run into injury problems, there will be some exciting options available. It is a testament to the organizational depth Lombardi has constructed in the past few years. 6. Will GM Dean Lombardi make any moves? While Lombardi re-signed every notable free agent Los Angeles had and locked up Quick with a long-term deal, he didn't add anyone. That said, the Kings still have nearly $8 million in salary-cap space, according to Capgeek.com. There were reports that Lombardi was interested in Zach Parise, just as the GM had tried to lure another Devils forward, Ilya Kovalchuk, to Los Angeles. As the season approaches, the Kings don't need anything; however, a serious injury -- or just the desire to inject new energy -- could lead Lombardi to tweak his roster even after bringing everyone back.